This was the former website for License Advocates, specialists in defending California occupational licensees and license applicants. Content is from the site's 2011-2015 archived pages. The firm is not longer active. Christine McCall, a pricinpal of the firm, has retired. Welcome to LicenseAdvocates.com, the online home of License Advocates Law Group LLP. If you make your living and support your family by working in California in an occupation that requires a State license or certificate—or if you want to work in one of those fields—and if the State is giving you a problem about your license, there is information here that may be just what you need to protect your rights and your livelihood. We are a specialized law office with a focused mission. We defend California licensed or certified workers—or those who want to be—from discipline against the license, such as revocation or suspension, or from burdensome limitations on “probationary” licenses. We do this work with skill, commitment and dedication, and we do it at “real world” prices, affordable to the good working people who hold these licenses. Managing Partner Mike Claessens is a 30+year licensed California contractor. Partner Christine McCall is a former California State Administrative Law Judge. License Advocates Law Group, LLP is the only Southern California-based law firm that practices exclusively on behalf of State license applicants and holders. The Firm is the only law firm with a former California State Administrative Law Judge among its partners. Spend a few minutes on this site. We think you will find some very useful, and even reassuring, information. When you have read enough to know that we can make a difference in your case, contact us for a free confidential consultation. We’re here. We’re ready. All work is done by the partners of the Firm. We offer Value Pricing (flat fee) as well as traditional hourly billing, at the option of the client. We have offices throughout Northern and Southern California. A law firm for cases that matter: effective, creative, aggressive representation in cases where we can bring genuine expertise to bear. In an administrative law battle, where your future and your livelihood is at stake, our Firm may be the resource that can make the difference for you. If you are handling a matter concerning complex ethical issues, potential expulsion or dismissal from an academic institution or degree program, or potential loss, denial or limitation of a State or federal license that provides your livelihood, you very likely need the highest calibre of skilled legal representation. LALG is a highly dedicated, experienced and expert firm of attorneys, officed in Pasadena,that assists attorneys throughout the State of California and nationwide in all matters relating to the law and strategies of defending against university disciplinary procedures [and the intersection of State licensing and criminal defense issues]. LALG’s advice has been relied upon by lawyers and clients throughout the United States and LALG has proven to be the “go to” law firm for those with serious ethical and legal matters affecting University standing /State licensing. 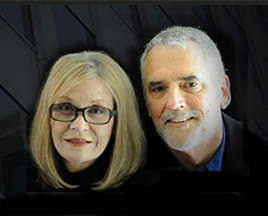 With thirty+ years each of significant legal experience – as practicing attorneys, managing/supervising counsel, expert witness, consultant, State-designated arbitrator, and California Administrative Law Judge – the partners of License Advocates Law Group LLP have together mastered the skills and principles of effective, ethical, and aggressive legal representation. Not every dispute merits this degree of professional commitment or calibre of legal representation. But when the case truly matters – when the outcome can determine your future or limit your livelihood – License Advocates Law Group can provide you the highest quality of effective, skilled, and comprehensive legal representation. Some examples of cases where LALG’s services have made the difference include: Advice and representation in defense against university and college (public and private) charges of academic misconduct and plagiarism; denials of tenure; internal grievances re academic freedom, degree progress, internship eligibility; and other education-related administrative disputes. State agency disputes: LALG advises and defends Federal- and California-licensed businesses and professionals in government investigations and proceedings re license discipline, revocation, and probationary limitations. LALG also represents businesses and professionals that have been denied State and federal licenses., certificates, credentials and permits. Managing the legal defense team: LALG works with the executive, management, and inside legal team of businesses to identify and vet suitable outside counsel and to supervise and manage outside legal work, ensuring that such work is cost-effective, skilled, efficient, and consistent with management’s authorizations and approvals. LICENSE ADVOCATES LAW GROUP is here for you and for your business when you are forced into a legal dispute where the outcome truly matters. We defend CPA’s and accountants, pharmacists and pharmacies, physicians, dentists, health care practice groups, veterinarians, attorneys, teachers, general contractors, and other professionals and businesses who hold California or federal licenses, credentials, certificates, permits, or registrations against administrative enforcement actions and professional discipline. We can help you retain your license by defending against revocation. We can help you reinstate your revoked or surrendered license. We can assist in defending against or negotiating “probationary” limitations or restrictions against your license. We can help you obtain a State or federal license by appealing a denial of your application; we can assist with the license application, especially if negative history must be disclosed. We can assist in preventing or minimizing disciplinary actions by legal representation during State or federal investigations and pre-accusation inquiries. We provide consumers, industry professionals, and civil and criminal defense attorneys the critical information and perspective that can often only be achieved by a detailed review by independent counsel with deep subject matter experience and no financial stake in the outcome. We provide services and reviews for management and coordination of the legal defense team, effectively integrating the efforts and resources of inside and outside counsel with client managers, executives, and representatives. We identify and vet outside counsel; and outside counsel work for compliance with management’s authorizations and approvals and against metrics and standards for cost-effective, skilled, efficient, and effective legal advice and representation. We provide management training in specific legal subject matters that can be expected to impact client liabilities and legal risks. Examples: discrimination in hiring, assignments, promotions; lay-offs and RIF’s; sexual harassment and discrimination investigations and disciplinary actions. We maintain an exemplary roster of skilled and ethical attorneys who practice in a wide variety of legal subject matters related to our cases and work including worker’s compensation, employment discrimination litigation, criminal defense, civil rights, and personal injury. We can provide referrals, introductions, and selection services.
" Christine McCall embodies the experience, skill and strategic thinking necessary to achieve exceptional results in administrative law matters. As a former administrative law judge, she brings unique insights to client advocacy and a breadth of knowledge rarely found in this area of law. She is honest, experienced, and has an excellent reputation. " " Knowledgeable, aggressive, creative and nice. Christine McCall explained everything, gave me sound strategic advice, and explained the reasons for her recommendations. She kept me informed about events on my case on a real-time basis — several times a week when necessary. She returned my calls and e-mails on the same day, always. She was very persuasive and effective in pre-hearing negotiations, which were not successful, and she was outstanding in presenting my evidence and arguing my case at the fair hearing – and THAT was successful!" " Ms. McCall is a smart, thorough lawyer who clearly knows what she’s doing and how to give her clients great representation…she’s just a great lawyer." "If I was ever asked who I would recommend for CA professional licensing issues I would say Attorney Christine McCall." "Christine McCall is my “go to attorney” for every licensing issue that comes up in criminal matters." "Attorney McCall is an insightful attorney and a bona fide problem-solver." "Christine McCall is smart, aggressive and knows the law. Just what you need in an attorney." "Her expertise in highly specialized areas of law is widely recognized. She has a breadth and depth of experience which unfailingly serves her clients’ interests. I would recommend her without hesitation to anyone facing discipline or termination by a state agency or school." "Christine is tough, thoughtful and experienced in all aspects of school and administrative law." "Ms., McCall has … a breadth of knowledge about many legal topics but administrative law is her strong suit. I keep her name and number handy in case one of my clients needs her help." "Ms. McCall is a smart, thorough lawyer who clearly knows what she’s doing and how to give her clients great representation…she’s just a great lawyer." "If you have a legal question in her area of expertise, she is your answer." "Ms. McCall is a true expert in her field. She specializes in defending California professional and occupational licenses. She has impeccable credentials, extensive experience, and obtains excellent results. She is one of the few lawyers in the State with this superb level of expertise in this very specialized field." "hristine is a highly distinguished lawyer with an exceptional reputation in the profession and an unmistakably apparent expertise in a wide variety of legal matters." "Wonderful, practical insight. An experienced and very capable advocate." "Ms. McCall is the epitome of professionalism and courtesy. When an administrative/licensing issue arises for one of my clients, I will refer him or her to Ms. McCall with absolute confidence. I have found her to be knowledgeable and generous with her time." "Christine McCall… consistently demonstrates a clear legal mind and a wealth of practical experience." "Ms. McCall has a superior knowledge of licensing laws. … She definitely knows what she is talking about and has a solid foundation of the law. I suggest you contact her immediately, if you have any questions regarding state licensing." "Attorney McCall is a fine example of what it means to be “Counsel;” not simply a robot processing forms, but an attorney who can advise on the personal and human sides of legal issues as well as the practical. It is my opinion that any client would be well served by her assistance." "I can attest to the breadth and depth of her knowledge in the area of administrative law. She is top-tier." "Ms. McCall is a top notch litigator and zealous advocate." "Ms. McCall… a great resource." "Christine is a top notch lawyer with a special expertise in handling administrative actions which can be incredibly complicated." "Christine McCall is your go to person for Administrative law." "I have been practicing employment law for 21 years, and if I ever had an administrative law question, Christine McCall would be the first one I would call." "Mike Claessens is a superb lawyer, an organizational genius, a critical thinker, and the ultimate stand-up guy." "Ms. McCall is a great attorney!" "Ms. McCall has an unbelievable knowledge of the law. Like a legal encyclopedia (with many volumes)." "Mr. Claessens is unsurpassed in negotiations skills. He has that rare gift of negotiating so that the issue is win-win, never gets in his own way in the back-and-forth, and his word is gold." "She is truly an expert in her field and I would strongly recommend her service to anyone requiring the best expertise." "Ms. McCall is able to see a conflict and handle it with grace, dignity and respect for a fellow colleague. I am truly impressed with her innate ability to treat others with courtesy, class and professionalism." "Ms. McCall’s background as an administrative law judge has given her a breadth of knowledge that few lawyers can hope to achieve. If you have a state licensing issue, Ms. McCall is the lawyer to contact." "Ms. McCall is an absolute expert on professional licensing. Additionally she is an expert on employment and criminal background checks and what effect juvenile sealing or PC 1203.4 actions have. Highly recommended." "Many occupations require a license in order to work. Mike Claessens will help you get that license and keep it, even in the event of government efforts to revoke or suspend the license. He is one of the few lawyers I would trust to handle a licensing issue." "Is there anyone in California who knows more about professional licensing than Ms. McCall? I can’t imagine." "“…extremely knowledgeable about professional licensing and related administrative law issues. ..many lawyers in other areas of practice refer inquiries to Christine McCall because she is the “go to” person for licensing questions, especially as to those licenses potentially impacted by criminal conduct. I would not hesitate to send my clients to Ms. McCall for any administrative law issues, including the defense of professional misconduct regulatory actions." "Knowledgeable, aggressive, creative and nice. Christine McCall explained everything, gave me sound strategic advice, and explained the reasons for her recommendations. She kept me informed about events on my case on a real-time basis — several times a week when necessary. She returned my calls and e-mails on the same day, always. She was very persuasive and effective in pre-hearing negotiations, which were not successful, and she was outstanding in presenting my evidence and arguing my case at the fair hearing – and THAT was successful!" "Christine will tell you like it is. She is very straight forward and to the point. Her credentials speak for themselves!!" "Ms. McCall is extremely knowledgeable, and she presented us with an option for a disposition (deferred entry of judgment) that would avoid a criminal record for our son. Herself a parent, she offered us empathy and generosity of spirit in addition to the benefit of her extensive experience. Ms. McCall is one of the best!" "When our son was charged with a V. C. 23140, it felt like the end of the world. Christine McCall’s professional expertise and wise counsel helped us regain perspective." "Mike Claessens is very skilled, genuinely cares about his clients, and works hard to get them the best possible results." "Ms. McCall has a tremendous amount of experience–38 years of practicing law not only as a lawyer but also she was a former administrative judge. It’s evident that she is a consummate professional and a great lawyer with vast legal knowledge!" "I am currently seeking admission into the CA bar, and I’m having some trouble with my moral character application because of a prior conviction. Ms. McCall felt as if I didn’t need the services of the firm because my case was not as serious as she expected. She was very honest and forthcoming about that. Ms. McCall gave me advice on how to proceed with my case on my own. She knew exactly the plan of action I should take, gave me solid advice, and really gave me a great picture of what I should expect as I navigate my way through this process. I can’t express how grateful I am for her kindness, knowledge, and professionalism." "Ms. McCall is an extraordinary professional and human being. She is amazing, knowledgeable, and will give you tremendously useful direction and guidance. I will recommend Ms. McCall and Mr. Claessens to anyone in need, and I will certainly be a long time client." "My issues were complicated and troublesome (for me). Ms. McCall was extremely responsive. During our consultation, it was abundantly clear that Ms. McCall and her partner Mr. Claessens had reviewed all of the information that I had provided in advance and were perfectly prepared for our meeting. They identified the key issues that needed to be dealt with, while putting to rest issues and concerns that were irrelevant to my case. The manner in which they conducted the meeting, including handling of sensitive issues, gave me immediate ease and confidence. They were patient and thorough, leaving no question, issue, or concern unresolved." "As a San Diego plumbing contractor my reputation can mean the difference between life and death of my business. Christine McCall helped insure my reputation within my community. A bad review that had defamation all over it was posted for the world to see! Christine didn’t accept no the first time when the site refused to get involved and remove the post, so she kicked it up a notch. Christine definitely has major talents because the post was removed today!" "It requires great skill to persuade a government agency to voluntarily agree not to exercise its full powers and instead “do the right thing.” Mike Claessens accomplished with persuasion what could not be accomplished otherwise without expensive and lengthy legal process." "Attorneys with integrity are difficult to find. When you find one, keep the attorney. Get Attorney McCall for your legal needs, if she can help you, and keep her." "Christine McCall is of the rare kind. …she is honest and very informative. It’s a shame there aren’t more attorneys like her. She is awesome." "I can’t say enough about how Michael Claessens and License Advocates handled my licensing situation. Great to work with. And when was the last time a lawyer sent you money back? License Advocates got the job done, under the quote and issued a refund to our company for the balance on the retainer. Honesty, integrity, and knowledge. My only choice for our company’s future protection is License Advocates Law Group." "… an outstanding level of client commitment. A first-rate attorney … "
"Ms. McCall blends a principled approach to giving advice with a tempered style that fully explains the details of a legal issue in terms non-lawyers can understand. " "If you have a license issue or need help with an administrative law matter and her office is anywhere near you, I highly recommend her to you. " "Christine McCall demonstrates extensive knowledge and experience in a wide variety of legal matters. I have tremendous respect for her sound legal knowledge and ability to communicate that knowledge. " "Ms. McCall gives excellent advice and always seems to have a handle on the issues. She’s sharp, experienced and an excellent thinker, just what one would want/need in an attorney. " "It is truly rare to find this combination of skill and personal concern in an attorney. " "Attorney McCall is a skilled attorney with an excellent knowledge base in regard to federal actions. Her concern for professionalism and ethics is key. " "I can think of no greater praise for an attorney than to say that the attorney is smart, skilled, studious, interesting, caring, kind, ethical, articulate, and pragmatic, and tells it like it is. And all of that is absolutely true of Christine. She is the kind of lawyer who inspires confidence and then earns that confidence. Anyone who retains Christine is certain to be in good hands. " "Her knowledge about the foundations, nuances and application of administrative statutes, administrative rules and governmental action is … among the crème de la crème of all administrative law advice sources. As one whose background includes a Masters degree in Public Administration, a law degree with a concentration in administrative law, and considerable time spent as an administrative rule writer for a state human services agency I know good administrative law advice when I see it, trust me. " "Practical, knowledgeable and articulate legal advocate with substantial experience. Christine represents her clients with passion, commitment, and judicial efficiency. " "Ms. McCall is a highly knowledgeable and experienced attorney. She knows the ins and outs of licensing and administrative law … Any client of hers is in extremely capable hands. " "Not only is she an accomplished and experienced criminal lawyer, she specializes in an area where few dare to go: licensing issues for those with criminal problems. I would refer her the appropriate client in a minute as well as seek her advice when I can. " "Ms. McCall takes on the tough cases! Representing licensed occupations and professionals is almost always an uphill battle. Ms. McCall is up to the challenge, and I admire her. " "Christine McCall embodies the experience, skill and strategic thinking necessary to achieve exceptional results in administrative law matters. As a former administrative law judge, she brings unique insights to client advocacy and a breadth of knowledge rarely found in this area of law. She is honest, experienced, and has an excellent reputation. " Before joining forces with Christine McCall in License Advocates, Mike served for more than 22 years as an attorney for the City of Los Angeles as a prosecutor in the Los Angeles criminal courts, as a defense litigator in the Los Angeles state and federal civil courts, and as a senior lead counsel in internal investigations and complex and class action matters. Mike advanced to the very top of the City legal team, Managing Senior Assistant City Attorney. He supervised and managed more than 100 attorneys and legal support staff, defending lawsuits related to governmental misconduct, employment discrimination, racial and sexual harassment, employment retaliation, personal injury, property damage, and contract cases. Mike earned his way through college and law school working as a plumber and carpenter and earned General Building and Plumbing Contractor Licenses over 30 years ago. Mike worked as a Building Mechanical Inspector for the Los Angeles City Department of Building and Safety, and served for years as Chief Inspector. He taught Fire Science at California State University Los Angeles, and his curricula on fire sprinkler design and code enforcement received the Award for Excellence from the L.A. Fire Department. Mike grew up in Pacoima and now lives in La Crescenta. Mike is an elected representative to the Crescenta Valley Town Council, specializing in coordination and direction of community emergency services, an Elk (Pasadena), and a motorcycle enthusiast and expert rider (and Sturgis veteran) of 42 years. Before founding License Advocates Law Group with Mike Claessens, Christine worked for more than 30 years as an attorney for the City of Los Angeles, as a Deputy District Attorney for LA County, and as a California Administrative Law Judge. Christine prosecuted more than a hundred criminal cases in the Los Angeles criminal courts, and defended complex construction and employment discrimination cases in state and federal civil courts. She served as Legal Advisor to the LA City Fire Commission and was responsible for all LAFD professional misconduct investigations and proceedings. Christine spent years managing and directing the work of other lawyers, private law firms, and technical and scientific experts. Christine has particular expertise in cases involving allegations of professional misconduct against police officers and teachers. She served for more than 15 years as a union advocate, defending employees against internal investigations and charges of misconduct. As an Administrative Law Judge Christine presided at licensee disciplinary and license denial hearings in cases involving real estate brokers and salespersons, teachers, insurance producers and brokers, mortgage and banking licensees, auto sales and repairs, nurses, child care workers, pest control, bail bond agents, dentists and other professional and licensed businesses. Christine has taught and written widely on advocacy strategy and skills. She believes in bold and aggressive representation that challenges the accuser on every legal and factual issue. Christine lives in Altadena. She was a founder of Basset Hound Rescue of Southern California and is now active in Greyhound Rescue. She is an award-winning gardener and landscaper, an accomplished cook, and a mosaicist specializing in outdoor installations. A specialized law firm dedicated to the legal interests of California professional and occupational licensees. We challenge denials of license applications; we defend against revocation, suspension and other license discipline.